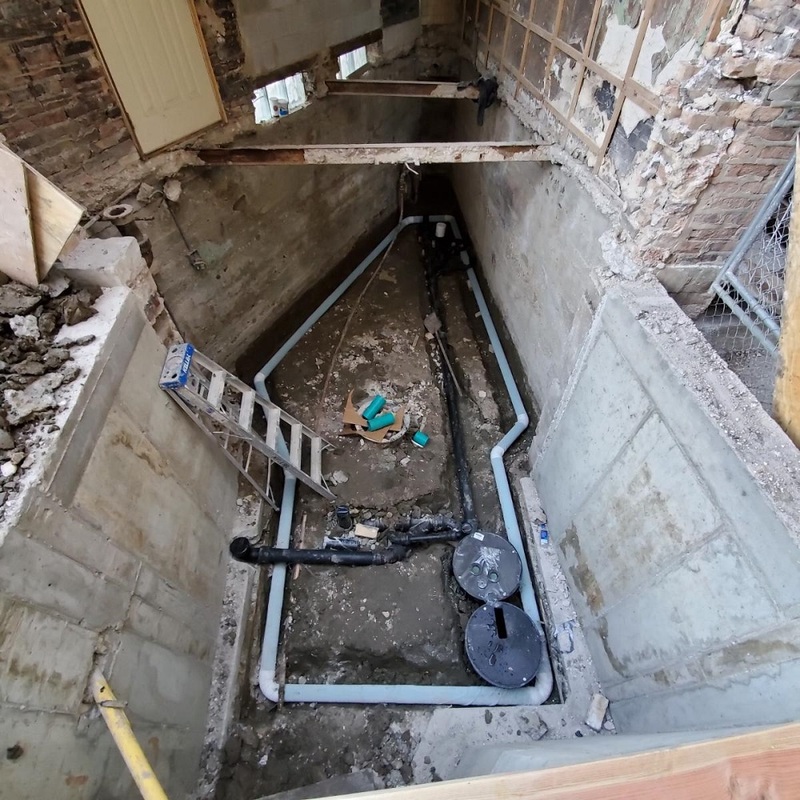 Originally we were trying to reuse an existing foundation wall that surrounded an old stair down to the basement. (This idea was a holdover from our very first plans for the tiny house, which stayed completely within the existing footprint.) Space-wise we could make it work, but there were mechanical issues that everyone knew would be tricky to accommodate. But then – thanks to a key suggestion from our GC – we found some bonus space hiding in plain sight! 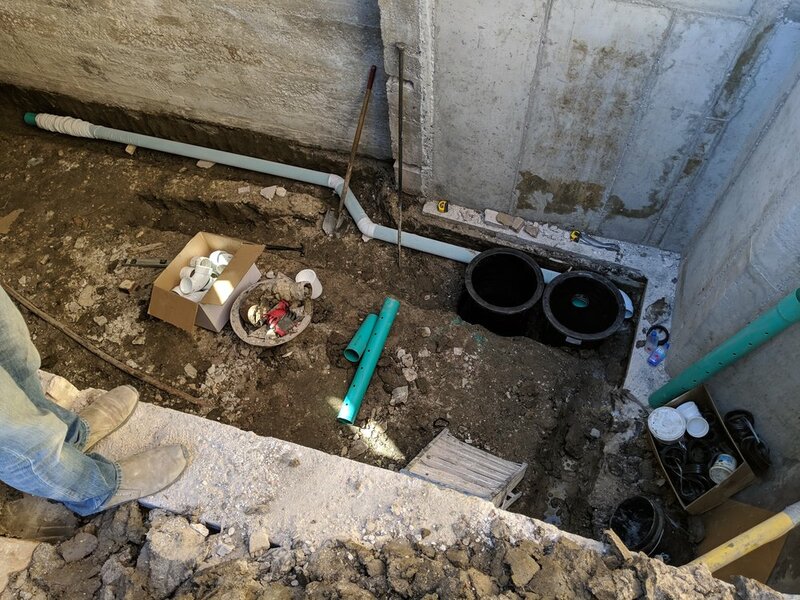 Beneath the new addition we needed to pour new foundation walls down to the frost line (42” below ground, here in Chicago.) But at that point we were already more than halfway down to the level of the basement itself (roughly 76” below ground.) Why not excavate the addition couple of feet, and capture this as additional mechanical space for the tiny house? It has a low ceiling – about 6-ft tall – and the access point is less-than-ideal, because a queen size bed takes up nearly all of the floor space in the basement. 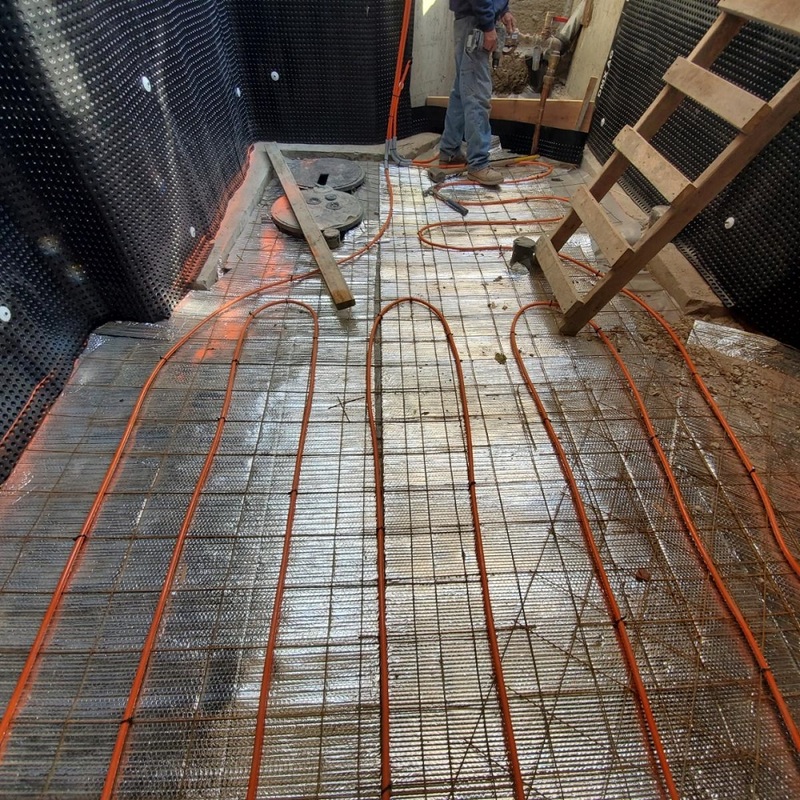 But what it does give us is space for the new sump pump that will keep this basement dry, and an easy install location for the tankless water heater that will power our sub-floor radiant heating system (which was previously squeezed into a stud wall.) We are even providing rough plumbing for a possible washing machine, if the owner decides to install one someday. This hidden utility room is something that residents and guests will never experience. In all likelihood, it will disappear behind a locked sliding door. But it will provide valuable breathing room for the plumbing and mechanical systems that power this tiny home and save the subcontractors more than a few coordination headaches.